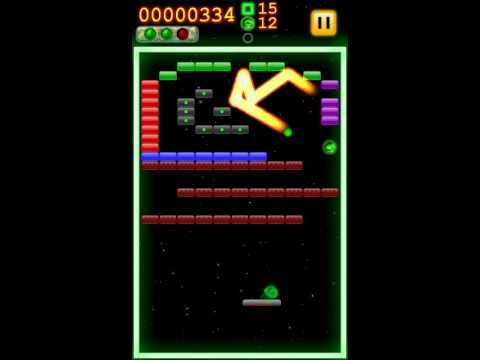 Bricknoid is a classic block breaking game where you break bricks using your block paddle and a ball. Are you up to the challenge of becoming the ultimate brick breaker? - 136 Unique Fun Levels with tons of blocks. - 3 difficulty levels, Easy (★), Normal (★★) and Hard (★★★). - Optimized for both smartphones and tablet computers! - Share your Extreme Challenge High Scores on Facebook, let your friends know you're awesome in Bricknoid: Brick Breaker! - Laser power-up to destroy bricks with style! Feel free to send an e-mail to driantgames@gmail.com or add a comment here to ask any questions or make suggestions to make Bricknoid: Brick Breaker better. We'll try to respond and help as soon as possible. Bricknoid: Brick Breaker is a free game developed using libGDX Framework. Have fun destroying blocks and bricks! Important notice: Because of changes to some API's by Google, the game will now need a minimum Android version of 2.3.x to run. Feel free to mail me at driantgames@gmail.com if you encounter any problems, and I'll see what I can do to help.Recent changes- Fixed a force close bug caused by the new API. Thanks for quickly reporting the issue.